Wine crates, fruit crates, beer crates, and packing crates add retro style to your home. They’re quite popular as an upcycling medium because many arrive decorated. 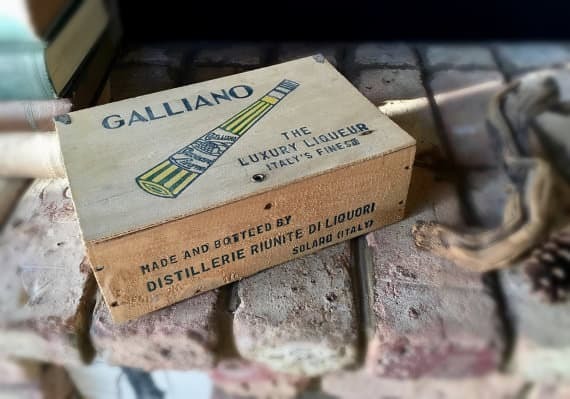 Vintage boxes have stunning artwork. 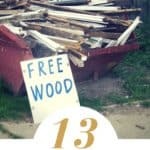 People regularly ask where they can find free wood crates – and you’ll have to be a bit of a detective, but they do exist. Get a selection of wine crates from Etsy sellers. Many are reasonably priced! To create a unique wooden crate furniture piece for your home, you’ll need patience. Plan on scouring the internet and consider setting up a recurring Google search. Use apps and check your local community sales sites such as craigslist.com. One significant way to help your luck is to network. Speak to the employees at stores most likely to have crates. 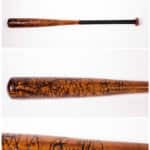 Think of any store that receives large quantities of breakables, mainly imports. Most use cardboard, but high-end importers still use wood for expensive items. Offer to pick up after-hours or before the store opens to minimize disruptions. Don’t expect any help loading and come prepared with a friend if necessary. NEVER leave any messes behind. 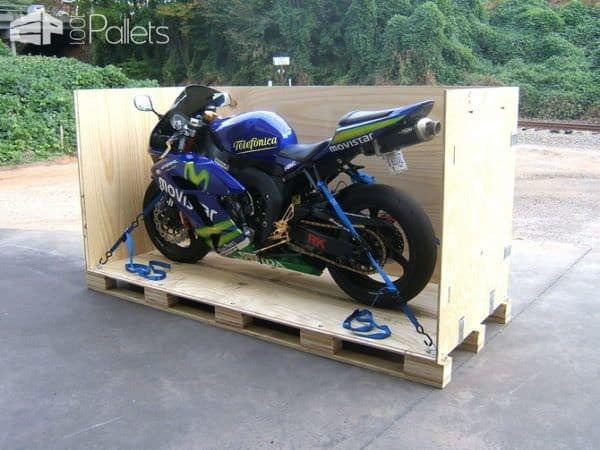 If some crates are too damaged, leave them stacked as neatly as possible. Courtesy is critical when you network for free stuff! Liquor stores – but think smaller, "mom & pop" places first. don’t forget smaller, "mom & pop" places first! 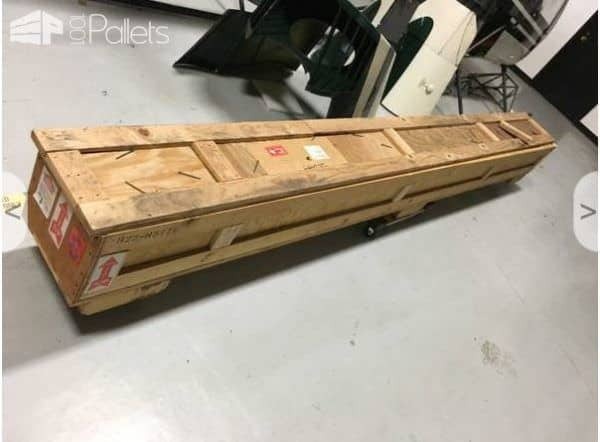 This shipping crate is listed for free on a southern California craigslist search. It holds helicopter parts, but look at the cool stamps and labels that could be incorporated into a bitchin' man cave! 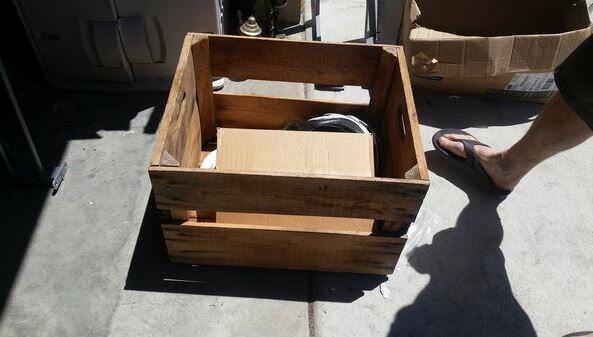 This oversized wooden crate is for sale on a southern California Offerup search. It sells for 10 dollars. That is a coffee table or bookshelf in the making! If you have a favorite adult beverage, chances are you'll find a corresponding shipping crate on Etsy. Find vintage vineyard crates on Etsy. Can't find free wood crates or wine crates? 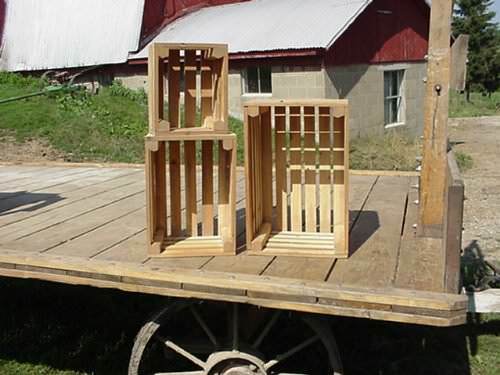 Watch for bargains and check sites frequently, you could find some cheap wood crates on those sites. If you want ornate crates or panels, you’ll pay a premium. Used and upcycling stores like Goodwill, Salvation Army, etc. Were you aware that Goodwill has an online bidding site? 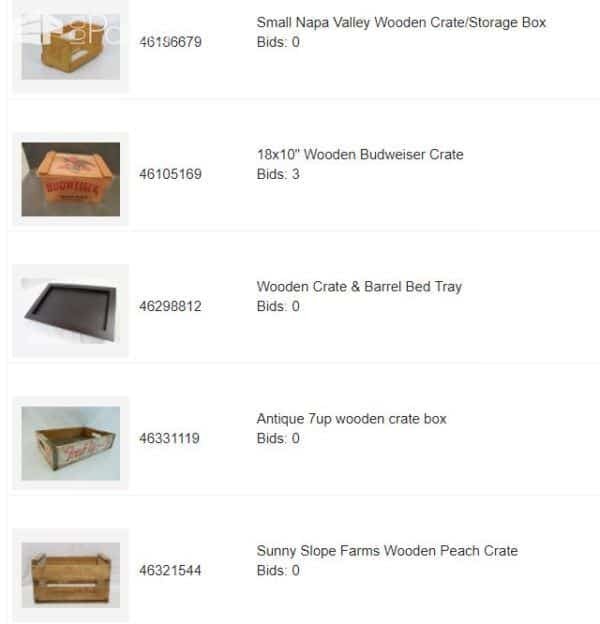 Here is a small sample of wooden crates available on the Goodwill bidding site. Don't forget your local vintage, antique, and used stores for bargains! Swap meets flea markets & garage/yard sales. Ikea has wooden fruit & wine baskets starting at $10. 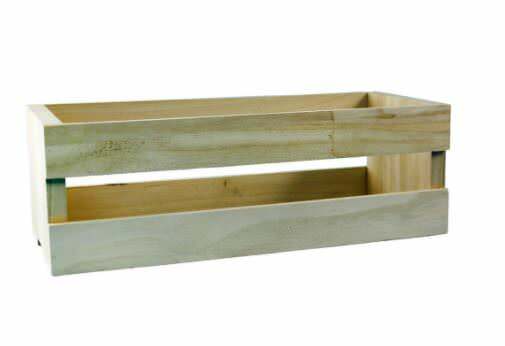 The Knagglig wood crate by Ikea. Hobby Lobby has a variety of wooden crates beginning at $8. A selection of the wood boxes available at Hobby Lobby. 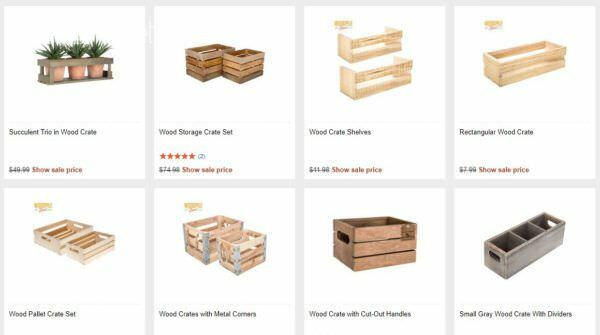 Home Depot has a variety of wood crates ranging from $9. 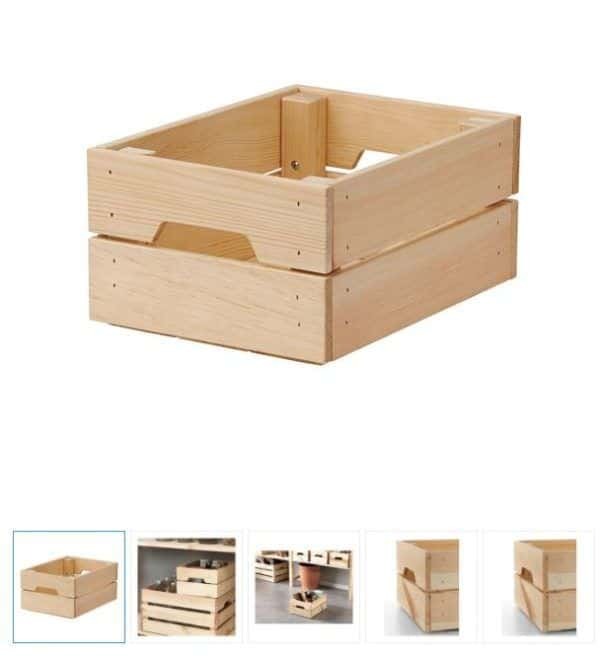 Find wooden storage boxes at Home Depot! Lowe’s has several wood crates, and the price starts at $13. Michael’s has several wood crates beginning at $6. One example of a box available at Michaels craft centers. 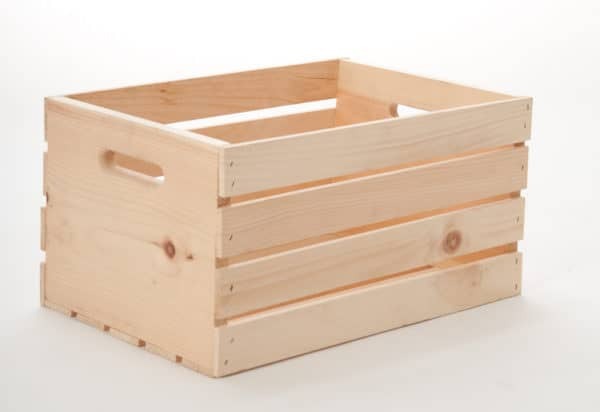 Jo-Ann Fabric & Crafts has a variety of wood crates beginning at $10. Examples of wooden boxes and containers available at Joann Fabrics & Crafts. Those Liquor & Wine “mega-stores” such as Bevmo or even Amazon. Offerup ( phone app) – search for items you want on the go. Letgo (phone app) – search for items you want on the go. 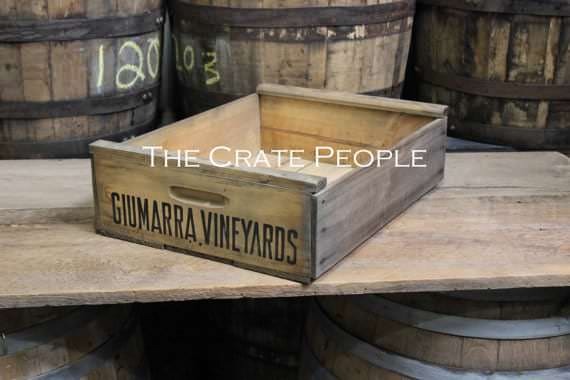 If you have other sources for free wood crates or wine crates, please let us know! Are you searching for raw wood pallets for your next DIY project? Do not hesitate to check our classified ads section where you can find some free pallets in your area and also be notified if we find pallets around you! 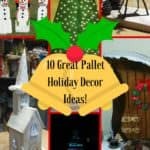 More tips on where to find pallets for sale? Then, learn how to protect and restore your wooden creations! 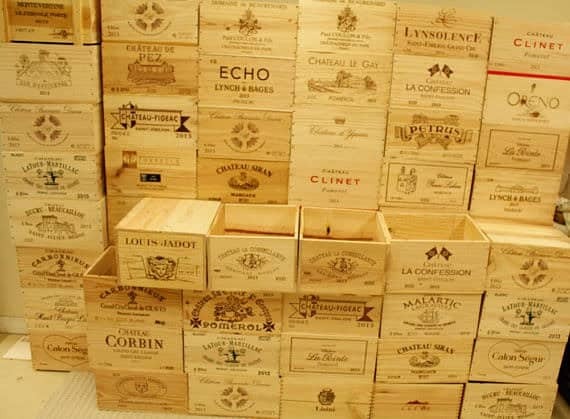 Hello I have hundreds of good condition wine crates I’m looking to sell the whole lot or just a single one contact me these will go fast. Hello Mr. Staff…I’m interested in purchasing around 15. Do you have pictures and can you quote me a price? I am interested. I want to make a kitty room and hang some on the wall for them to sleep in and climb on. Price and sizes? Thanks so much! I would go to the wine shop and ask the shop keeper if they are spare me some. I find that wine crate are better looking.